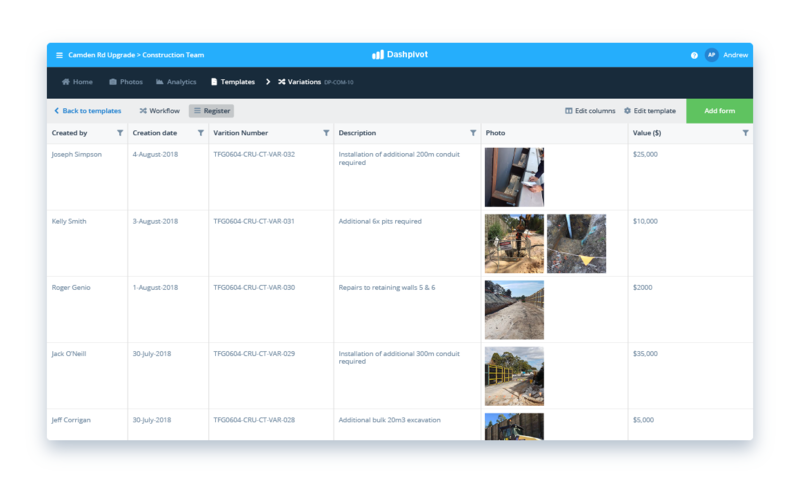 Streamline the time-consuming parts of your daily construction reporting and track daily and project progress in real-time with the smart daily reporting app and software. Reduce your daily admin and build bulletproof daily records with the Dashpivot construction daily reporting app and software. 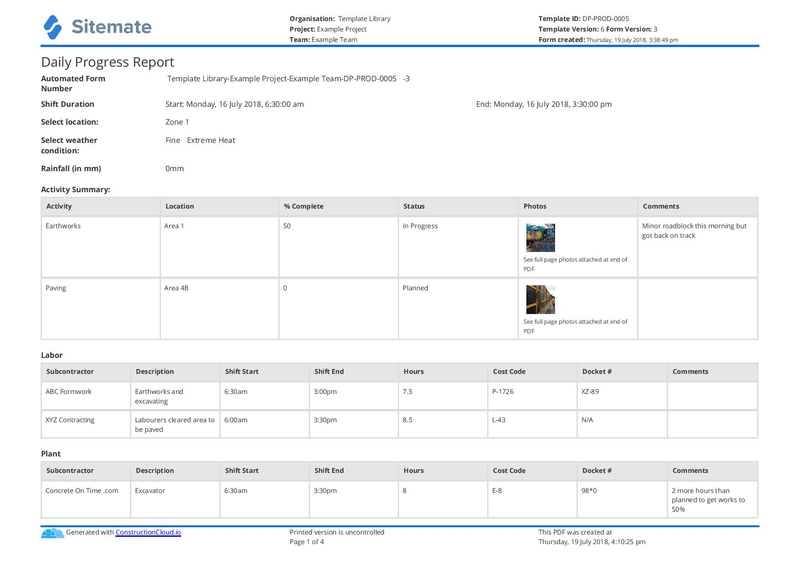 Create your own daily reporting form with the drag-and-drop document builder, or use (and customise) our free construction report templates. Complete your daily report from anywhere on any device: computer, laptop or phone. 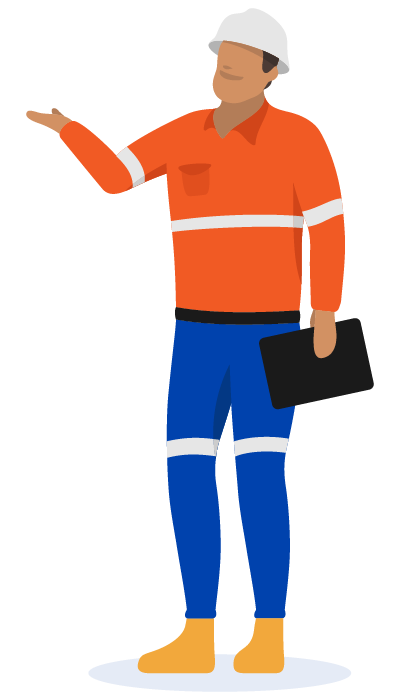 Access and complete your daily construction reports in the office or on site, with all of your records being safely stored and always accessible from the cloud. Take photos inside the Dashpivot app on your phone or tablet on site so it's impossible to lose any important evidence. Organise your photos with smart tags to make them easily traceable by specific dates, projects, teams or custom tags. Have other team members or multiple projects? 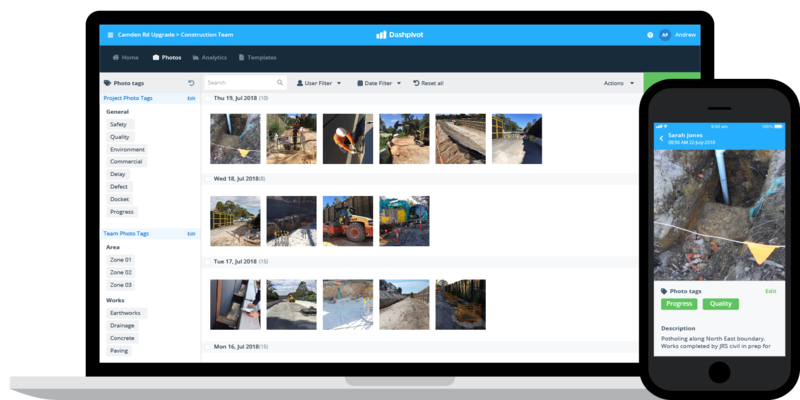 The photos section can be filtered by person and you can create entire photo libraries associated with specific projects and teams. When you want to get a daily construction report out of the software or app. Instantly print, download or send any form or report as a professionally formatted CSV or PDF documents with your own logo and brand colours. Try this daily reporting app for free. 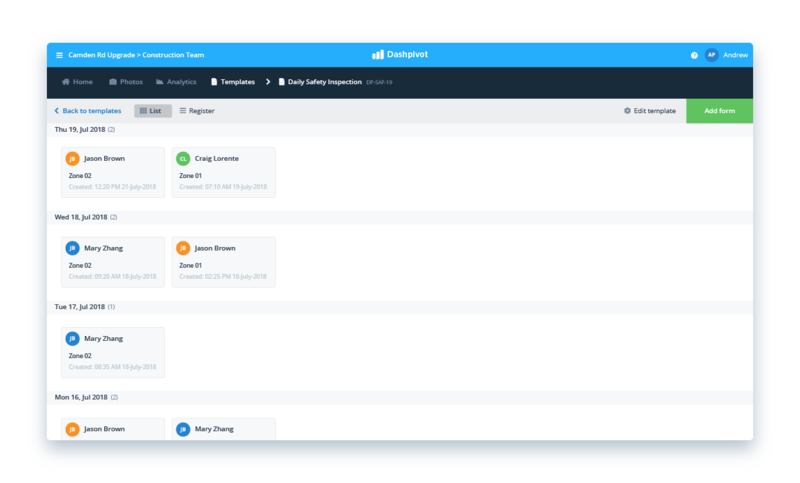 Get new insights with real-time tracking and automate even more of the daily reporting process with powerful features. 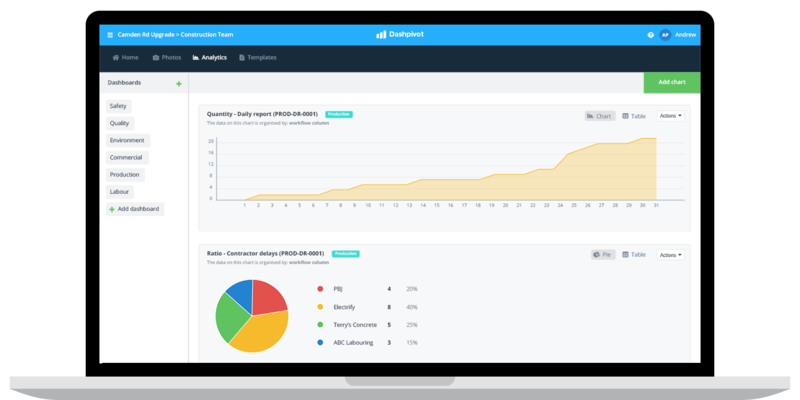 The daily reporting app and software automatically aggregate all of your daily records and data, so you can create custom dashboards and automated charts. Track daily production rates, delays, incidents or anything else you want. 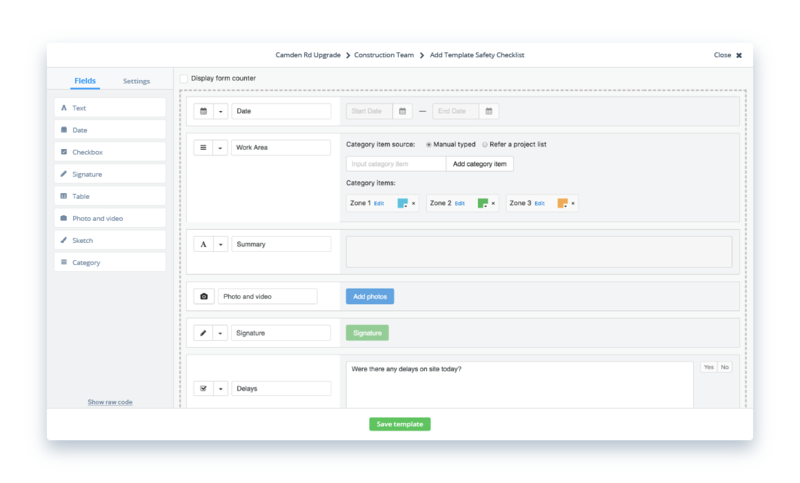 The analytics are customisable and flexible for whatever you want to track. Instantly convert your daily reporting records into register view at the click of a button. Just like excel, but with none of the manual data entry or formatting. 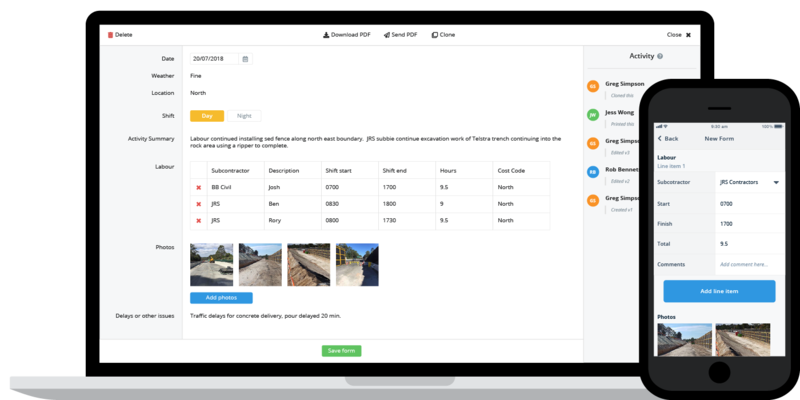 View all of your daily construction reports in real-time, organised in chronological order for easy traceability. View, edit and filter your daily report records just like you would in excel, but without any of the double-handling or work. Get more out of your daily reporting app. Why use a single app for daily reporting, and then other tools and systems for your other frequent jobs? Consolidate more of your processes and data with Dashpivot. 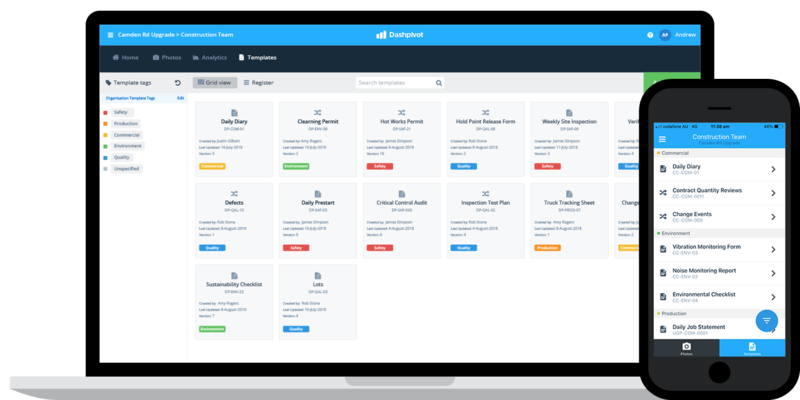 You can get all of your daily reporting, diaries, checklists, reports and more done with a single system. People in 70+ countries use Dashpivot to capture, organise and track their daily work more effectively. Save time and build bulletproof daily records with the smarter construction daily reporting app and software today.